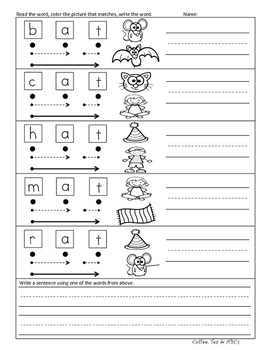 This is a great packet for your emergent readers. Easy to Prep. Easy to Use. It can also provide great practice between your DIBELS progress monitoring or any other assessments you may use. 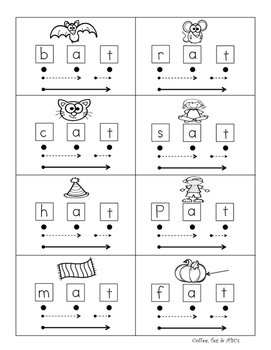 Along with the CVC Word Family Groups that this pack targets, it also targets many necessary sight words in the reading of the sentences. 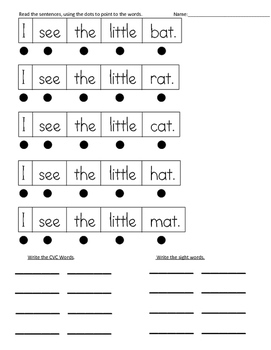 Sight words covered in the sentences: I, see, the, little, big, it, has, a, we, can, like, here, is, he, she, look, at, you, have, and, did, they, get, hew, was, so, very, with, this, for, from, two, in, on, will, red, blue, orange, yellow, white, black, brown, pink, and green. I hope you enjoy this blending packet and find it useful for your students. I have been using it in my classroom and find it effective and simple in helping my students blend and become fluent readers.